Congress is calling on the U.S. Department of Agriculture (USDA) to increase public access to its inspection reports on animal breeders and other animal-related facilities. The $1.3 trillion omnibus spending bill that President Donald Trump signed on March 23 was a staggering 2232 pages. 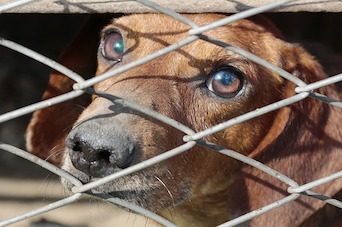 Tied to the bill’s extensive language was a document that calls for the U.S. Department of Agriculture (USDA) to increase public access to inspection reports on animal breeders and other animal-related facilities. According to various news reports and the congressional document, the department is in violation of mandates that require public access to the reports. The battle to reinstate full access dates back more than a year. On February 3, 2017, the USDA removed inspection documents from a public database, citing privacy concerns. The move eliminated tens of thousands of reports detailing how many animals are kept by research labs, companies, zoos, and circuses, and whether those animals are being treated humanely under the Animal Welfare Act (AWA). This initial rollback elicited criticism from both lawmakers and animal advocacy groups. In the congressional directive published on March 21—and first obtained by Science Magazine—Congress wrote that the move by the USDA to restrict access was not in agreement with requirements, which say that users need to be able to access all documents related to enforcement of animal welfare laws. “USDA is directed to comply with these requirements and is reminded that as part of its oversight responsibilities, Congress has the right to make any inquiry it wishes into litigation in which USDA is involved. USDA is directed to respond to any such inquiries fully,” the congressional directive reads. On Monday, the USDA started restoring details in its animal welfare inspection reports from March. While much of the information on the reports remains redacted, these appear to be the first reports since August to show animal inventories. The reports prior to March have not been updated to include any information on animal inventories, and the USDA has not released any statements about its plans for prior reports. In addition to the congressional document, the HSUS filed a lawsuit against the USDA on March 21 for its failure to release crucial animal welfare public records. In her blog post about the lawsuit, Kitty Block, acting president and CEO of HSUS, said the USDA withheld more than 600 photographs and nearly a dozen videos obtained in connection with AWA inspections that the HSUS had requested.